Have you heard of a Dirty Banana? I hadn’t until I sailed with Princess Cruises and I have to admit that the name alone made me laugh. Hard. However, the milkshake-like cocktail proved irresistible. Spoiler alert: adult milkshakes are now on my favorites list. What’s not to love about a frozen drink/dessert combination? I’ve partnered with Princess Cruises to share this recipe with you and in case you can’t already tell, I’m pretty excited about that. 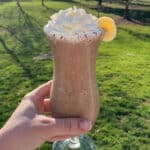 This is a Caribbean inspired cocktail that tastes more like a milkshake than a cocktail. This is a super fun treat whether you’re cruising through a dream vacation or kicked back on your own back porch at home. The Dirty Banana is absolutely unforgettable. And lucky for me? It’s easy enough to make at home in just minutes. Start by adding ice to the blender. 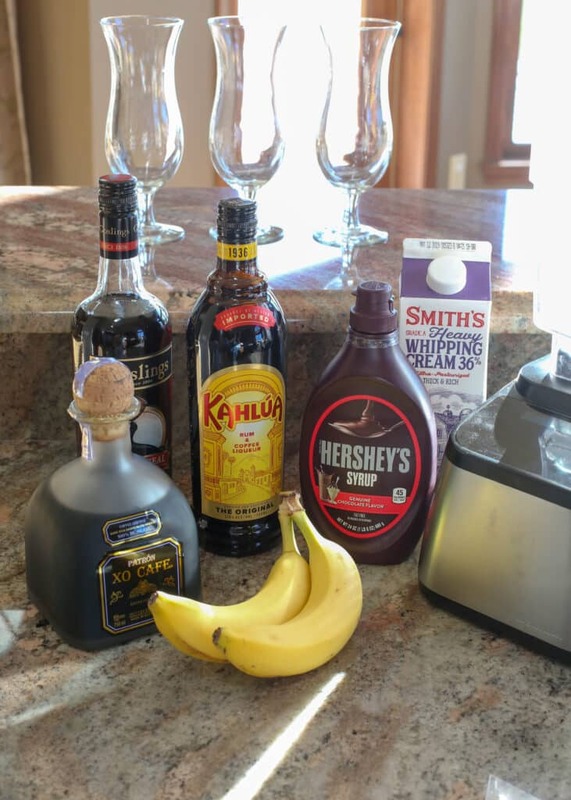 Then add a splash of rum, kahlua, and coffee liqueur, 1/2 a banana, heavy cream, and chocolate syrup. Hit blend and pour it into a glass. 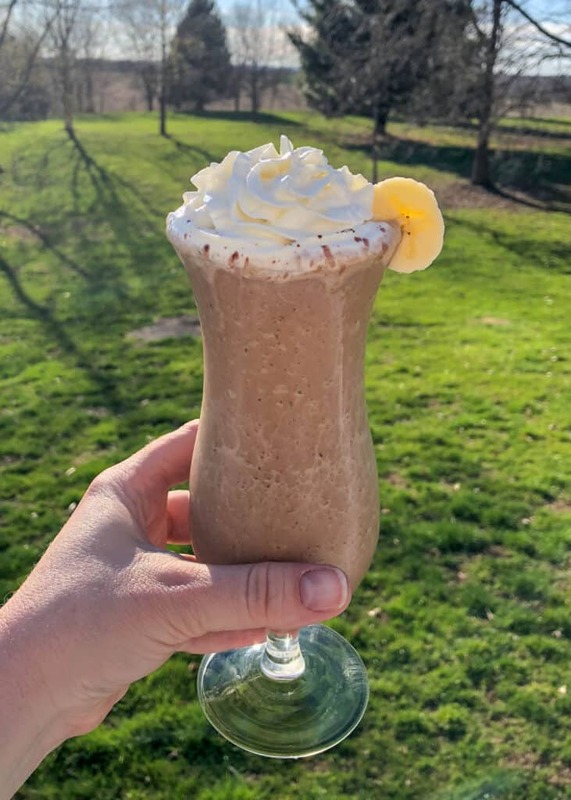 Top with whipped cream and sip happily. The ingredient list might sound long, but you’re only adding a small splash of each liquor and the flavor that is delivered when they’re combined is fantastic. Easy Peasy and absolutely delicious too! I probably shouldn’t have introduced my kids to this one, because it’s been dessert every night for a week. And no, I have not been making one for myself each night along with them. But if anyone wants to visit me and give me an excuse to blend some more of these, I’m game. Have I talked your ear off yet about the MedallionClass experience?? I can’t even tell you enough what a game changer it was for our cruise. We sat by the pool and ordered drinks and food that was delivered literally in minutes. The OceanMedallion works like GPS throughout the ship. If you place an order, whether it is aloe vera for a sunburn, a bucket of ice, extra hangers, a few more pillows to pile on your bed, extra towels, or even a few orders of fries and a Dirty Banana milkshake, the token works to show your location and the items will be delivered directly to you. The OceanMedallion is also fantastically helpful for navigating your way around the ship. Want to go to Crown Grill for dinner? Just select the location and the handy map will get you there. Need to find the laundromat? It’s on the map too. If you get turned around and can’t find your cabin? The app will help and you won’t even have to admit to a soul that you lost your way and couldn’t find it. Anyways, back to this deeeeeeelicious Dirty Banana. Silly name aside, this “adult milkshake” is truly excellent. Not overly sweet, but refreshingly so, it’s a lot of fun – both to make and serve. 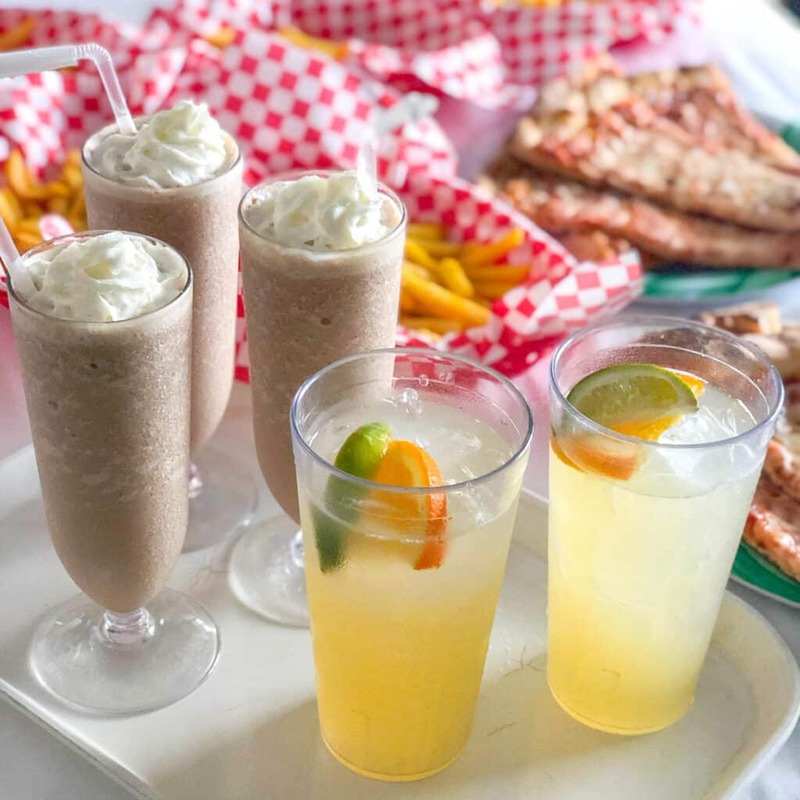 I can tell you now that I’ll be blending up a pitcher of these drinks for my next girl’s night, just because they’re that delicious. You all know how much I love ice cream and I honestly didn’t realize there wasn’t even ice cream in this drink until I watched them make it another time. We may have ordered this drink more than once. I’m calling it recipe testing though. Because I love to share all of my favorite food finds with all of you! Kitchen Tip: I used this blender and these glasses to make this recipe. 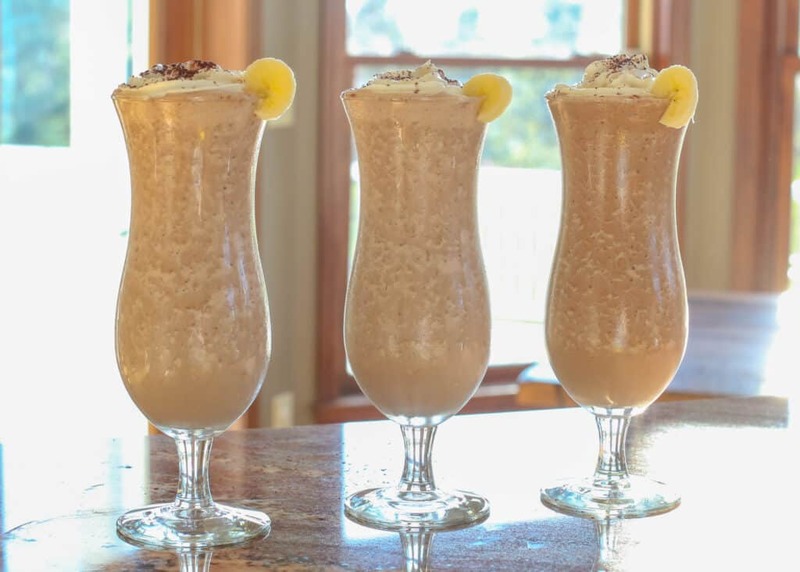 Cold, creamy, and chocolatey, the Dirty Banana is a drink that everyone loves. Blend until thick and creamy. Pour into 2 small glasses or 1 large glass. Top with whipped cream. Add 1/4 cup milk or cold coffee to the above ingredients and skip the booze. Enjoy! Want to check out more of our cruise through the Caribbean? This Jalapeno Honey Butter is inspired by Planks BBQ onboard the Caribbean Princess. This sounds so good, but I cannot drink dairy. Is a substitute for the heavy cream? I'm thinking it would work well with coconut cream or even almond milk. (Although the almond milk won't give it the same thickness.) I'd try it with your favorite dairy alternative. 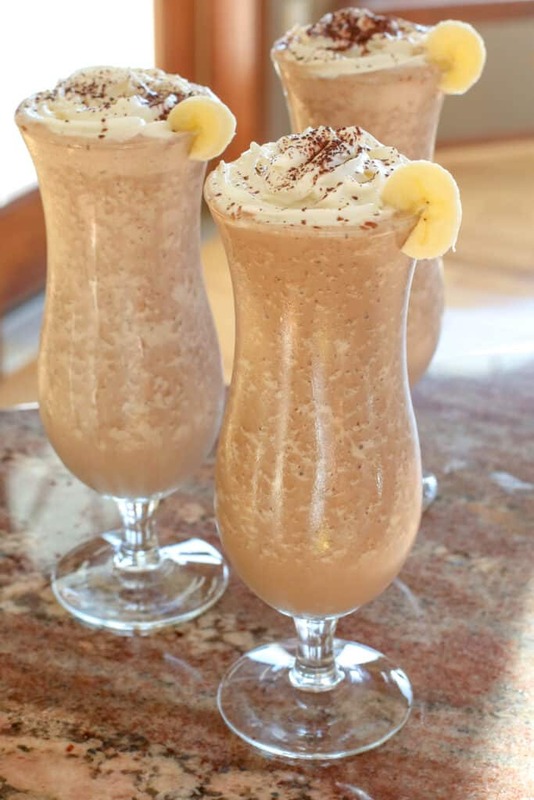 I was looking for a sweet drink recipe for the whole family and I stumbled on this article. I read and followed the instructions carefully and I made this dirty banana deliciously! Every member of my family is so happy! Thanks for this! I am thrilled that you enjoyed the recipe, Kate!